The development of the beauty industry is getting faster and faster, and it is very popular among consumers. The main business is nail art, pedicure, eyebrow threading , teeth whitening, beauty, hair, skin care, makeup, etc. 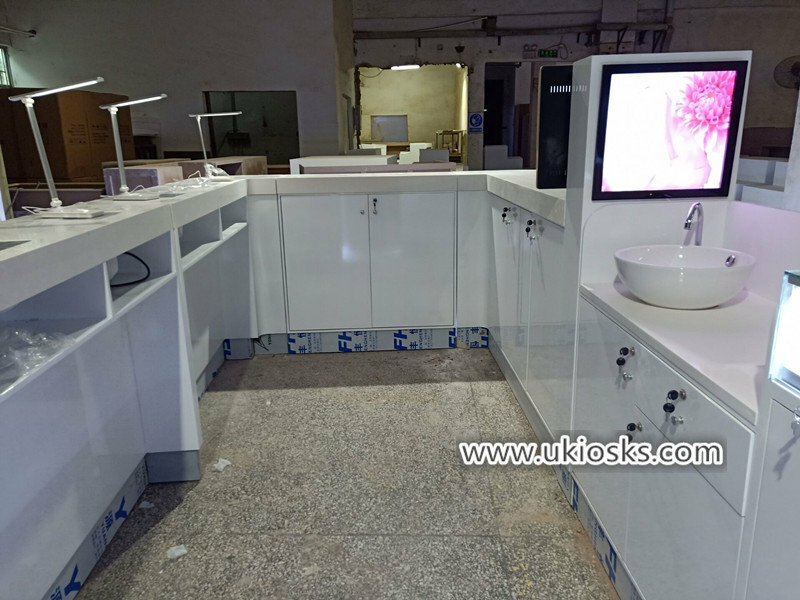 today i wanna introduce a beauty salon nail kiosk for your meet . let’s see more details at below. 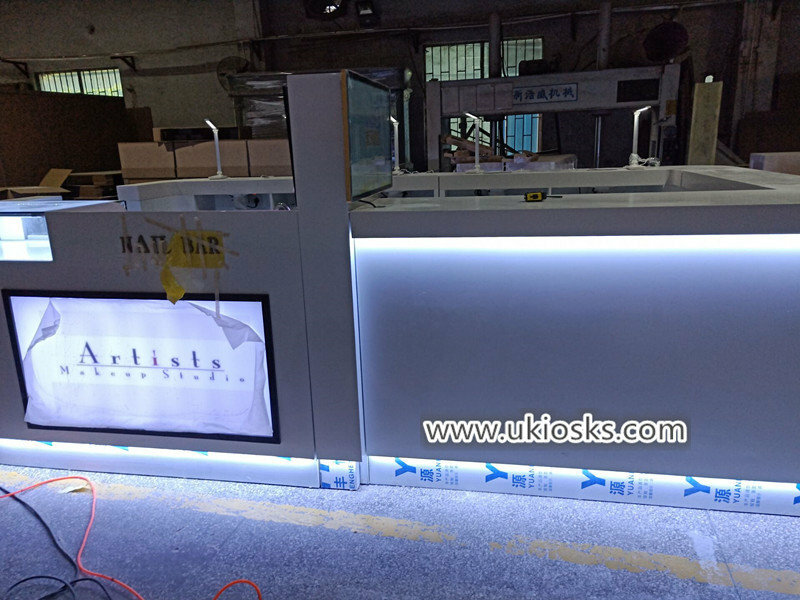 As you see this eyebrow threading kiosk, mainly tone is black , match some gold strip decoration , inside with three eyebrow threading station , a glass display showcase , a hand washing sink , a small cashier counter. 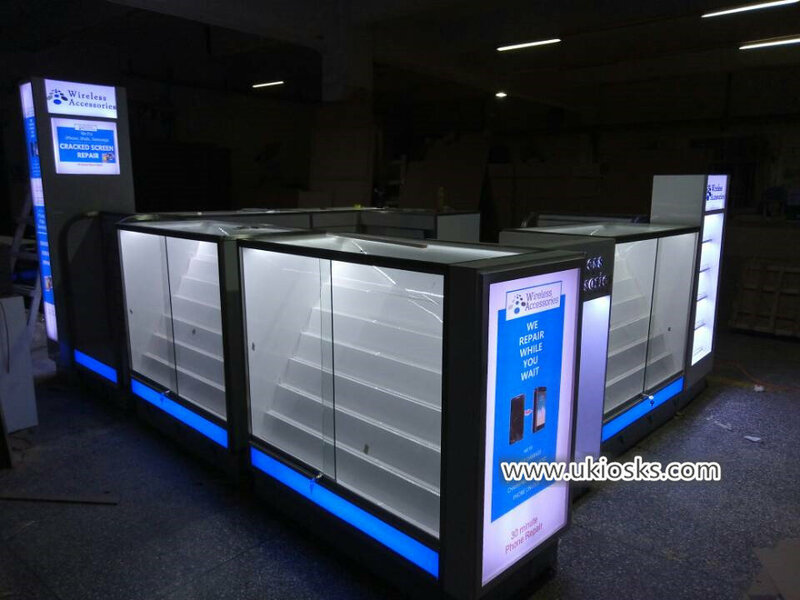 whole kiosk below with wooden cabinet and stainless steel skiritng . 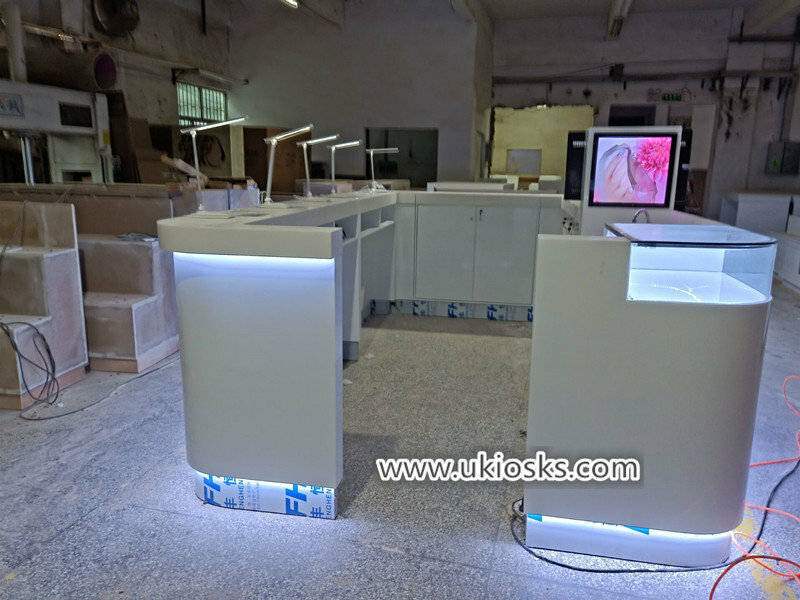 Whole kiosk mainly tone is elegance white , very high end , total size is 13X8ft . 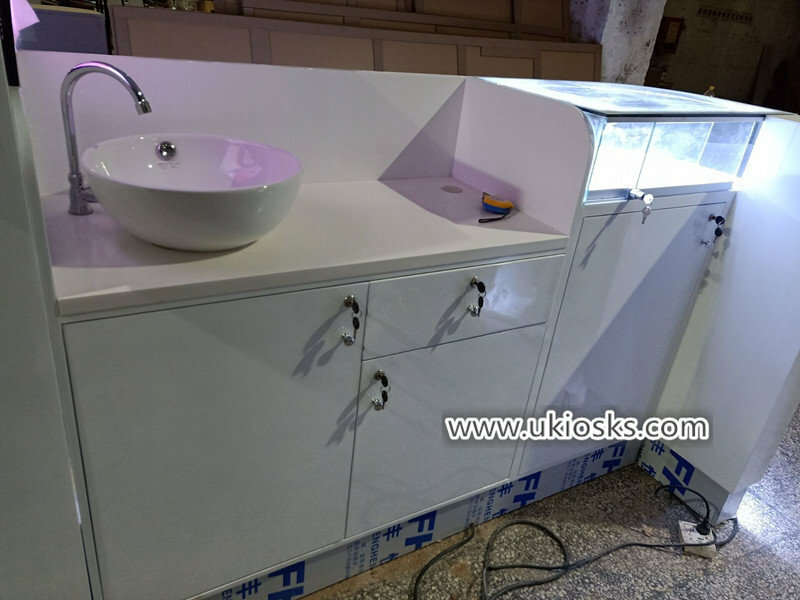 basic material is MDF , surface is baking painting finished , wooden cabinet , hidden white led light strip . stainless steel skirting with led light . is very bright and nice . 3. How can i customized a shop like this one ? Thanks for your time and reading , hope this post can helpful for your own business . 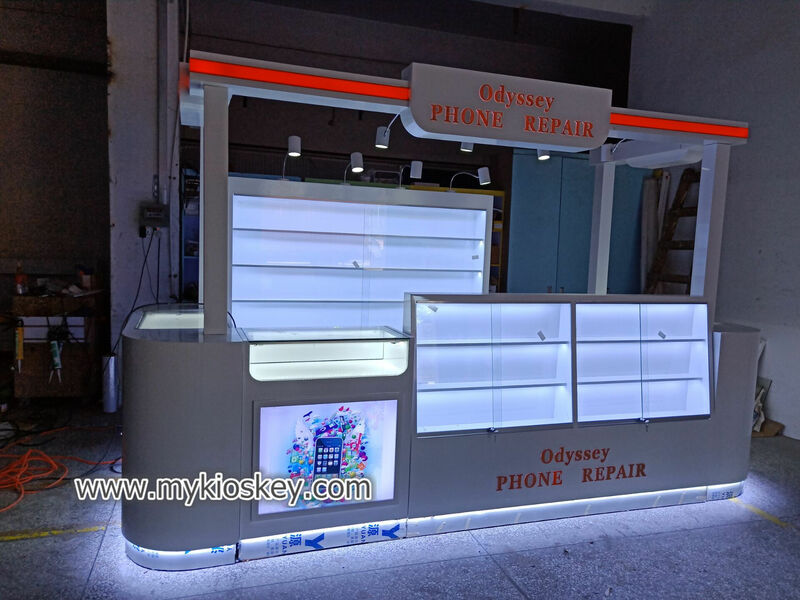 if you plan start your jewelry shop or mall kiosk project , pls direct contact and share all of your ideas to us . We are very professional and have many experience , We can turn your idea into reality，make it Exquisite and Unique . get more further information， contact us as below .Thank you !